Some med, some tech, some blab! ..then either don't accept the image09.zip image10 image08 image07 or a similar file. 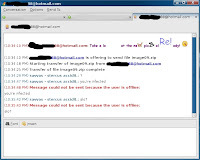 It contains an executable (program) such as image09.JPG-www.photobucket.com - DO NOT GET TRICKED! I'm saying "tricked" because it appears as if the file has a "www.example.com" website in its filename, which is certainly not the case. I've updated cwean.exe cleaner to detect them, check out the bfu script. If you saw any other files or registry keys, please reply with a comment. we really had a great time in KG!!! By donating, you empower me with resources in the limited time and devotion I need to take care of my projects. Something to get your day started!